March is Workplace Vision Wellness Month, as marked by Prevent Blindness American (PBA). The goal of this directive is to educate corporations and their employees about the necessity of eye wellness, with advice on how to avoid vision-impairing eye incidents. Each day, people sustain job related eye injuries that need the attention of an eye care professional or doctor. Workplace safety experts and healthcare professionals say that the two most prevalent reasons that people sustain eye injuries is because they fail to wear anything to protect their eyes or they are taking the wrong sorts of safety precautions. The most common dangers found in the work environment include small particles or falling objects such as concrete, wood, metal or dust that can penetrate or cut the eye. Chemicals, gases and lasers can also scorch and damage the sensitive eye tissues. Your eye doctor will help you determine potential eye dangers at your workplace and determine the best sort of eye safety for you. Often, workplaces have multiple risks for eyes and finding proper eye protection must consider all possible risks. People working with chemicals need to wear goggles, while if you work in an area where there are airborne objects or particles, use safety glasses that have shields along the sides too. Working close to hazardous radiation when welding, using lasers, or fiber optics requires the use of special-purpose safety glasses, protective goggles with a face shield, or helmets made just for your kind of work. Working at computers or using mobile devices can also be harmful for your sight. Due to the increase in the use of computers in our lives, these dangers are becoming increasingly prevalent. Implement the 20-20-20 rule which will help your eyes rest. At least every 20 minutes, look at something 20 feet away for 20 seconds. If you're using a hand-held device, increase the font size so you'll be able to use it at a distance more comfortable for your eyes. Additionally try to adjust the brightness of your monitor to a resolution that is not too bright or too dim and place your monitor just below eye level to pose less of a strain on your eyes. You should also consider the option of computer glasses. 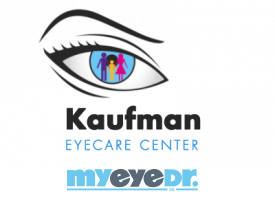 For more information concerning vision care at work, please contact us today!